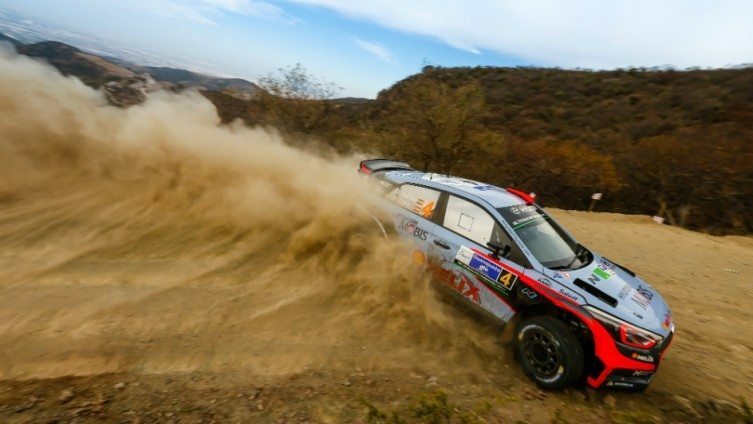 HYUNDAI’S Dani Sordo has lost his podium finish at Rally Guanajuato Mexico after receiving a two-minute penalty for using one more tyre than allowed during the four-day event. The penalty relegated the Spaniard from third to fourth and promoted M-Sport’s Mads Østberg to third. Just 1.5sec split the pair in the revised classification. Rally stewards received a report from the FIA Technical Delegate stating that Sordo used 29 tyres, one more than authorised. Team principal Michel Nandan and team manager Alain Penasse told stewards that due to a communication error three new and two used tyres were assigned to Sordo’s i20 in a tyre fitting zone instead of three used and two new items.